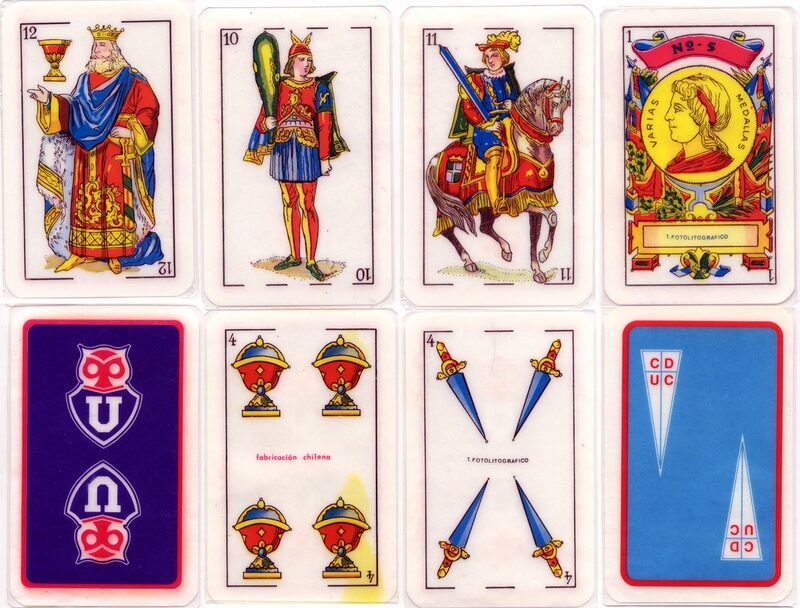 Above: four cards from 'Baraja No.5', a Spanish suited pack made in Chile by Taller Fotolitográfico, inspired by Fournier's classic 'Castilian' design, c. 2000. Each card is printed onto thin paper and laminated inside a plastic sleeve to withstand rough treatment. Packs come inside a plastic case, with a choice of football club insignias on the reverse.